Samsung Galaxy J5 explodes in France, are Samsung’s woes far from over? 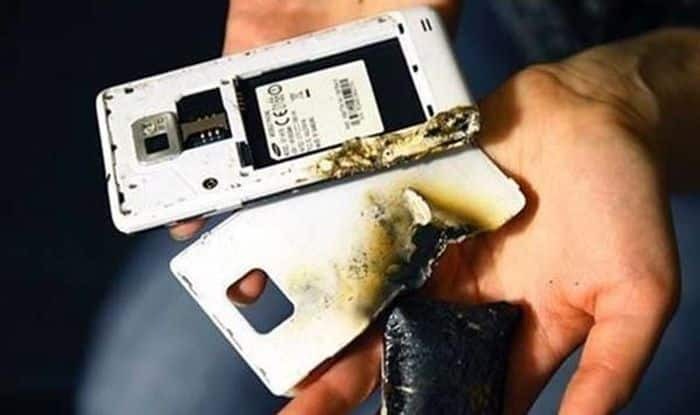 Though the blasting Samsung Galaxy J5 was an isolated incident, it once again reminds us of the dangers of Lithium Ion batteries. Samsung is seriously in a soup. And a hot, boiling one at that. After having to recall and finally shelve their flagship Samsung Galaxy Note 7 smartphone, the brand quickly issued an apology and hoped to make up with their upcoming devices. Although they were down, they did not stop at any time and continued to launch new phones aggressively. When it looked like things would finally improve for the brand, news of Samsung top-load washing machines bursting began to trickle in. While initially it was thought the issue was a one-off incident, more and more suers began to complain about the machines and finally, Samsung officially announced a recall for their top-load washing machines too! However, while Samsung Galaxy Note 7 phones were killed globally, the recall for Samsung top-load washing machines is restricted to USA. Unfortunately, these two incidents are not the only ones. Just a couple of days back, a woman from France complained of her Samsung Galaxy J5 exploding. Luckily for her and her family, no one sustained any injuries. The phone was nearly a year old but then, while some phones are known to cause issues after extended periods of use, one year is not really a long period and most smartphones are expected to last the duration, irrespective of their premium quotient. In the case of this defective Samsung Galaxy J5, the device was charged with only original accessories and no fake or other brand accessories had been used. The incident occurred in the home of Lamya Bouyirdane and occurred on Sunday while the family was having dinner. Lamya Bouyirdane resides in the city of Pau in Southern France. Xiaomi launches anti-pollution mask ‘Cloth Pear Fresh Air Mask’ to battle smog and air pollution! According to the report given by Lamya Bouyirdane with regards to the blasting Samsung Galaxy J5 smartphone to Associated Press, the family was all gathered around the table having their dinner. Her son was playing with the mobile in question and Lamya Bouyirdane asked him to pass it over to her. When she held it, she realised it was unnaturally hot and she was immediately alerted to the fact that something might be wrong with the device. On inspecting it closely, she realised that the phone had swollen up. There was also smoke coming out from one end. As the phone was extremely hot, and the smoke coming out of it looked troublesome, Lamya Bouyirdane’s first insticnt was to throw the phone away. She threw it far off and as soon as the phone was thrown, it burst into flames. The back cover of the device was thrown off and flames were issuing from it. The phone was completely burnt. After Jet Black, Apple to relaunch iPhone 7 and iPhone 7 Plus in Jet White colour? However, as this is the first instance of a Samsung Galaxy J5 smartphone blasting, there is nothing to worry about for now. There have been reports of devices bursting even in the past and as the Samsung Galaxy Note 7 and Samsung top-loading washing machines issue is fresh, these reports are gaining a sudden momentum. According to William Stofega, a mobile analyst for IDC, the incident is completely an isolated one. Also, Samsung Galaxy J5 has been in the market for long and it is only after almost a year that the reports of the device bursting are filtering in. So in all possibilities, this is just a one-off incident triggered by certain factors. Lithium Ion batteries are some of the most unstable batteries and even a slight device issue can lead to short circuit and cause the device to burst. We only hope this is not another nail in Samsung’s coffin which seems to be closing faster than expected.